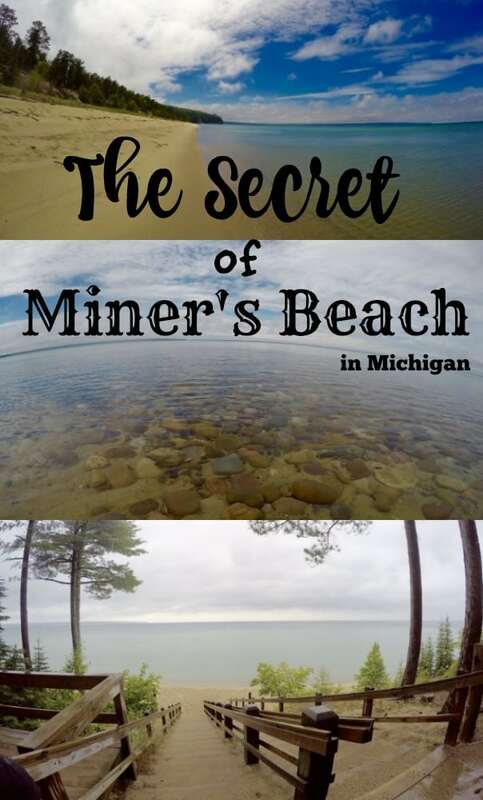 Share the post "The Secret of Miner’s Beach at Pictured Rocks National Lakeshore"
After spotting Miner’s Beach on Pinterest I KNEW it was on our list to see. My fear, however, was that this stunning little waterfall would be somewhere off the beaten path that we wouldn’t see so I made sure to stop at the Miner’s Castle ranger station to ask about it before we headed down to the beach. 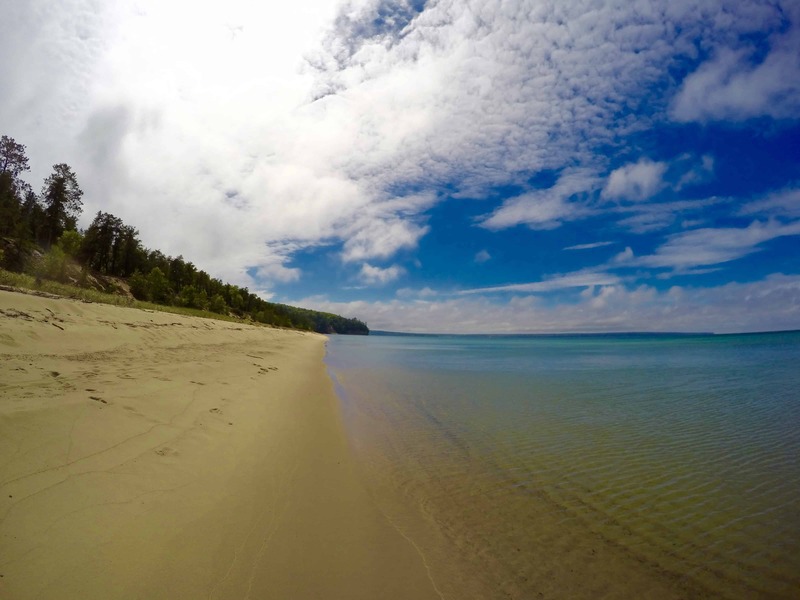 It is located inside of Pictured Rocks National Lakeshore. 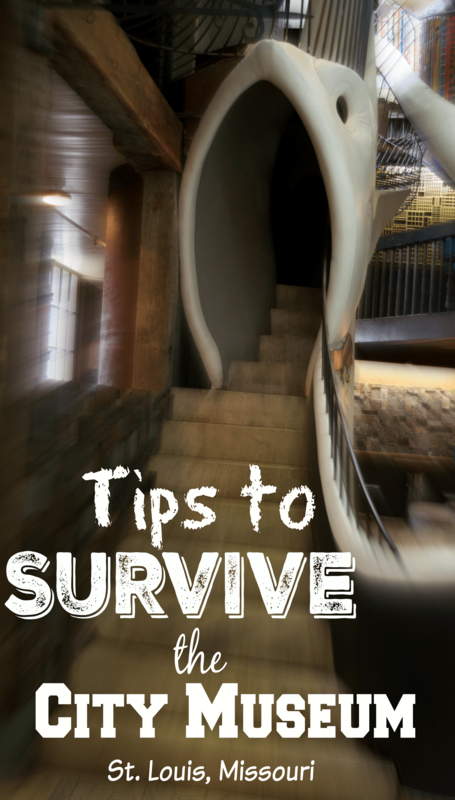 So I’ll spoil the tip for you right in the beginning of this post! When you head down the stairs to Miner’s Beach walk to the right of the stairs on the beach until you can’t walk any further – there you’ll find a stunning cove of rock ledges and the beautiful waterfall I found on Pinterest! The rock ledges were awesome to climb around on but unfortunately we couldn’t make it right over to the waterfall. At the time we were there the water was too high and the waves and rip tide were too dangerous for me to feel comfortable wading over there with the kids. It was still worth the hike over there to check out though! This was my first trip to Lake Superior and I was absolutely blown away with how clear and blue green the water was! You’d think we were in Mexico (minus the bleach white beach sand!) because the water color and clarity was so stunning. 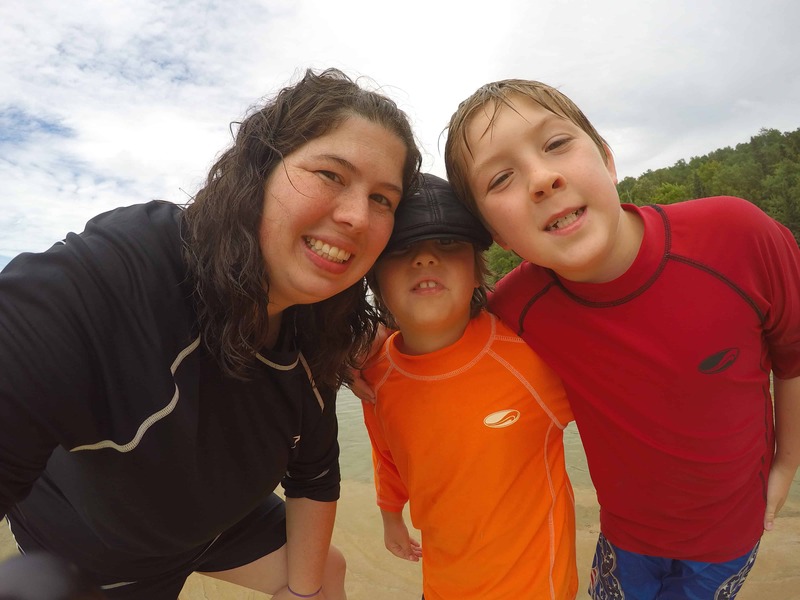 And cold of course – but the cold water didn’t deter my kids! All week I gushed over how amazing the views and lakeshore was in the area. 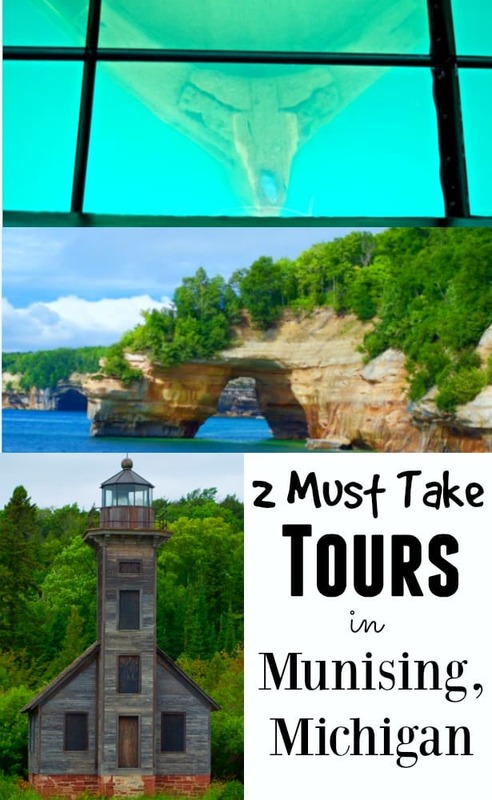 We also went on the Shipwreck Tours boat as well as the Pictured Rocks Cruise which are both well worth it….and also another post worth! We spent several hours there hiking up and down Miner’s Beach. I have to say though that I was NOT prepared for how difficult it was to walk in the sand there and how dangerous the riptides were the day we went! We didn’t go very far into the water because of the unpredictable waves – made worse by the cruise boats back and forth every half hour or so. So do be cautious of the weather patterns and conditions on the water when you go! 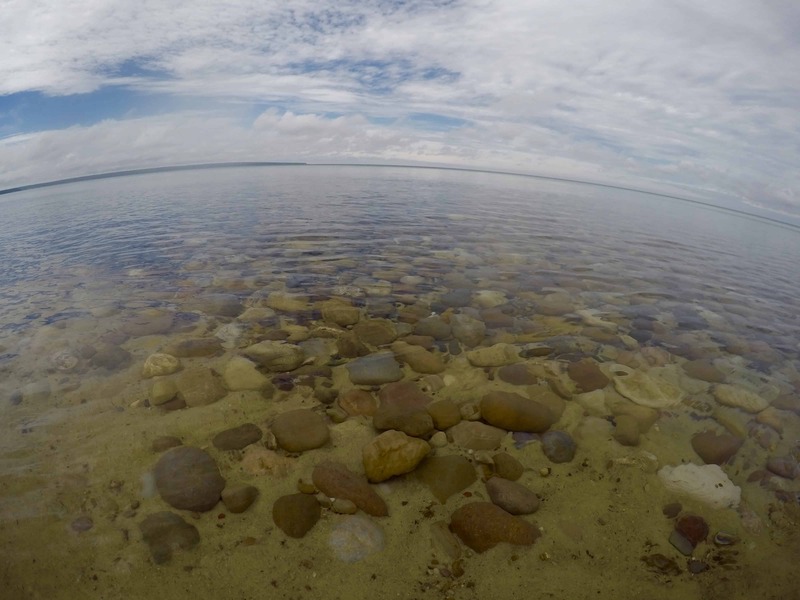 I took this with my GoPro Silver just so you can see how clear the water is! No special filters or anything! It was absolutely amazing! Although you can’t take any rocks from the lakeshore it didn’t deter my kids from carrying them around and tossing them back into the lake all day. We found all sorts of beautiful chunks of granite and agates along with the occasional piece of sandstone. Just look at the color of the lake here! I’ve been in Lake Michigan numerous times and expected Lake Superior to look similar but boy was I wrong! Untouched beauty. 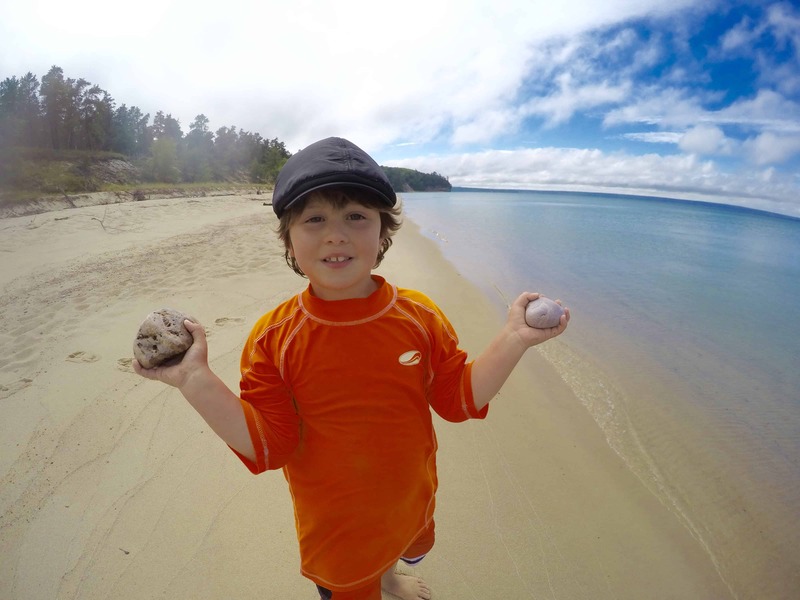 If you’re headed to Munising definitely look up more spots on Pictured Rocks National Lakeshore – there is plenty to see and do! Along with the 2 cruises I mentioned make sure to check out the many local waterfalls too. Wagner Falls is incredibly easy to get to and there are others you can literally stay in your car and drive right past. We picked up a waterfall map at the Shipwreck Tours office which nicely laid out everything we needed to see as a tourist. Also downtown Munising you can picnic right off the lakefront with free parking near where you board for the Pictured Rocks cruise. We were even able to pick up a small handful of sea glass right on the shore there! Munising Falls is another easy to see waterfall location that seems popular in the area as well. 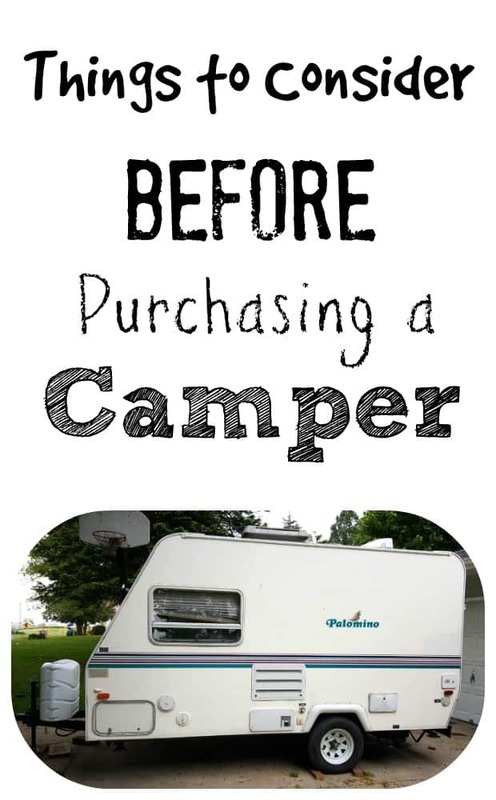 If you’re looking for an extremely family friendly campground check out Otter Lake Campground – it was great for families with children. 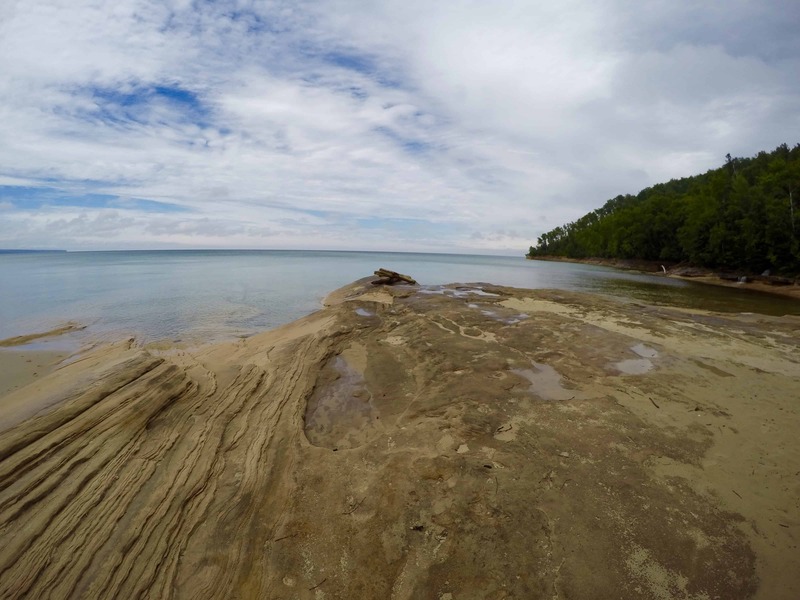 Hi, am making a road trip up to the peninsula and ending at pictured rocks, around what time of they year did you make your trip? It was in the summer in July! Beautiful countryside. Worth going and seeing. 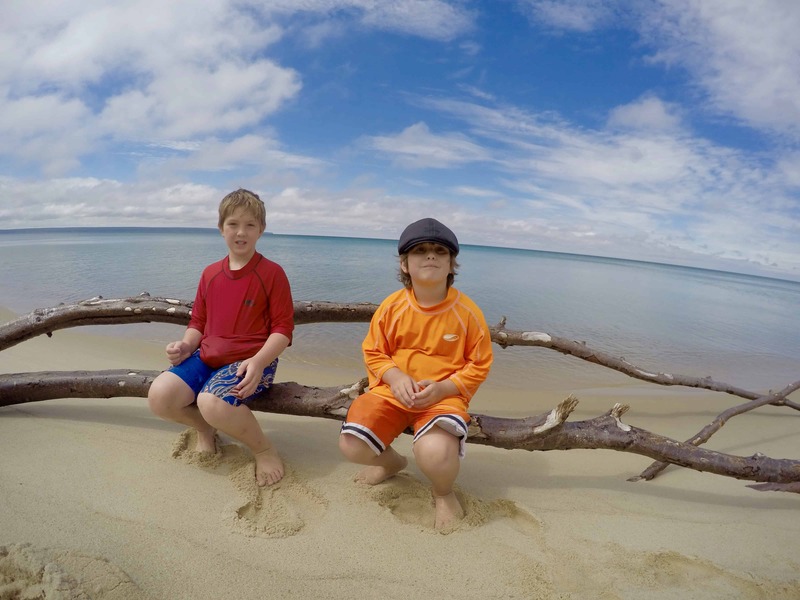 We traveled around Lake Michigan last summer. 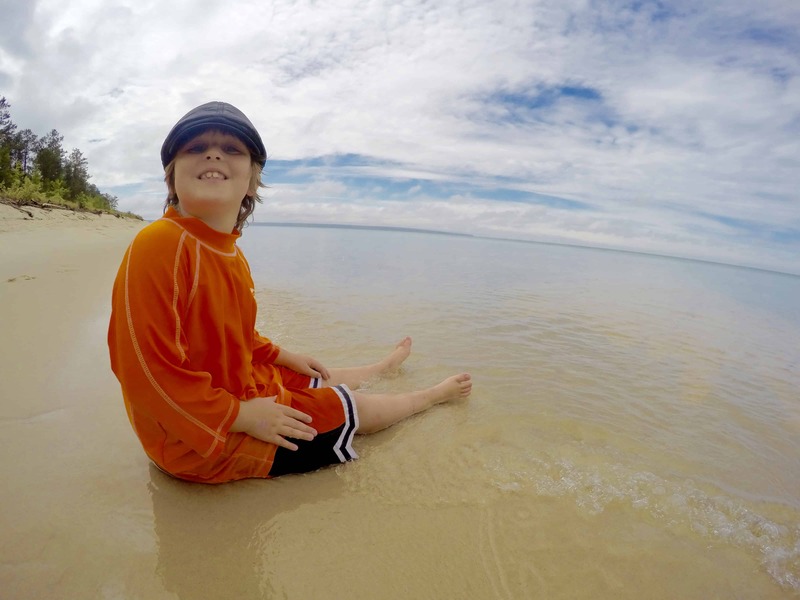 Have you ever been to Schoolhouse Beach Washington Island, WI? Nothing like I have ever seen before. Major tip, go super early to avoid the lines for the ferry to the island. I want to go back to kyak there. Would you believe I’ve never heard of Schoolhouse Beach! It sounds amazing!!! 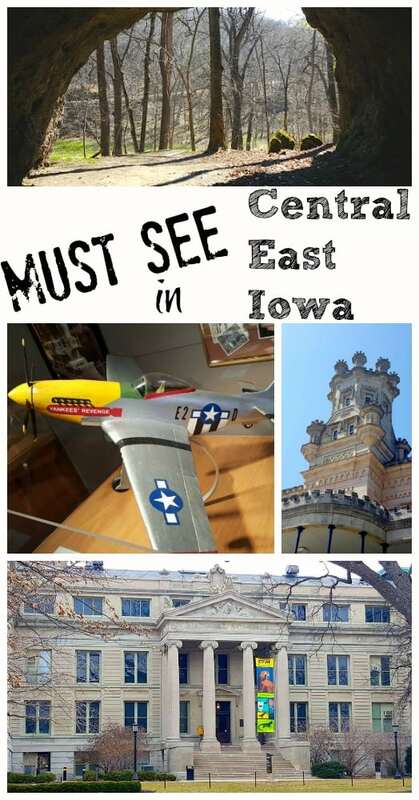 Wisconsin is so close to me too – I might need to make a summer getaway there! I’ve never been there but now I need to look it up! 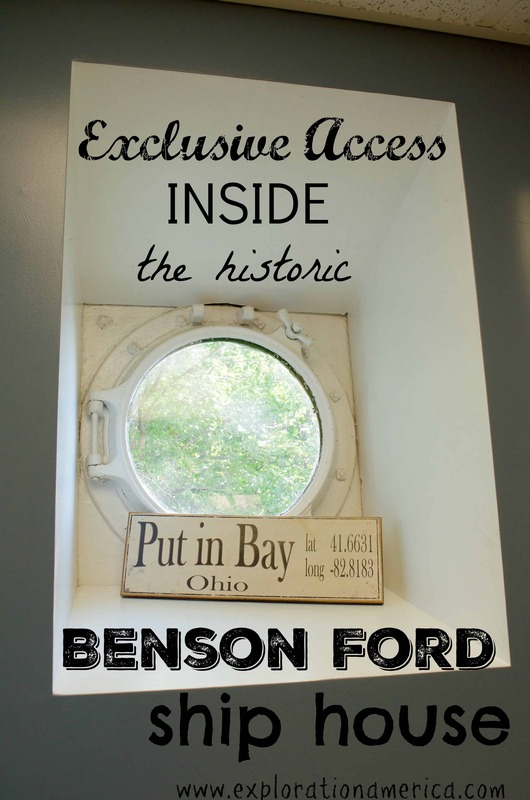 I’ll be up near that area again this summer – I absolutely want to go to that cave you mentioned at Scott’s Falls and Torch lake!! Destin Florida is also a nice place to visit. White sand beaches and clear water! Lots of shopping and fun restaurants. McGuires Irish pub a must!! There’s a boardwalk in that area you can walk down and see all kinds of cool cranes and pelicans as well. New Orleans also a very cool place but more for adults in my opinion. Cool open market and the buildings are amazing. Music and street vendors and performers everywhere! Willie maes for best fried chicken in the world!! 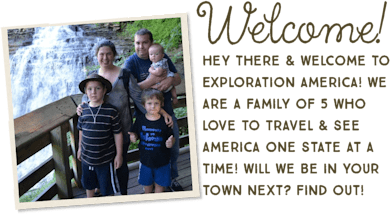 We are planning a trip to Miners Castle and would love to hike to the waterfalls first and then head over to the Overlook of the rocks- do you know where we should park to begin? Yes! It’s a big park isn’t it! 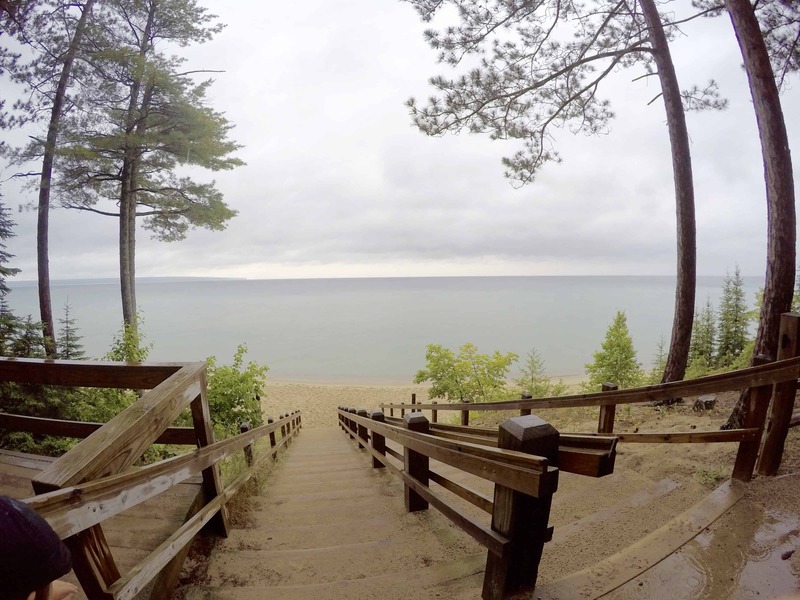 We started just outside of the downtown Munising area at the Welcome Visitor’s center – there is a great board walk path way there to take you on an overlook of the rocks. If you want to head down to the beach and hike to this secret waterfall from below off the shore then follow the signs to the beach! Yes! 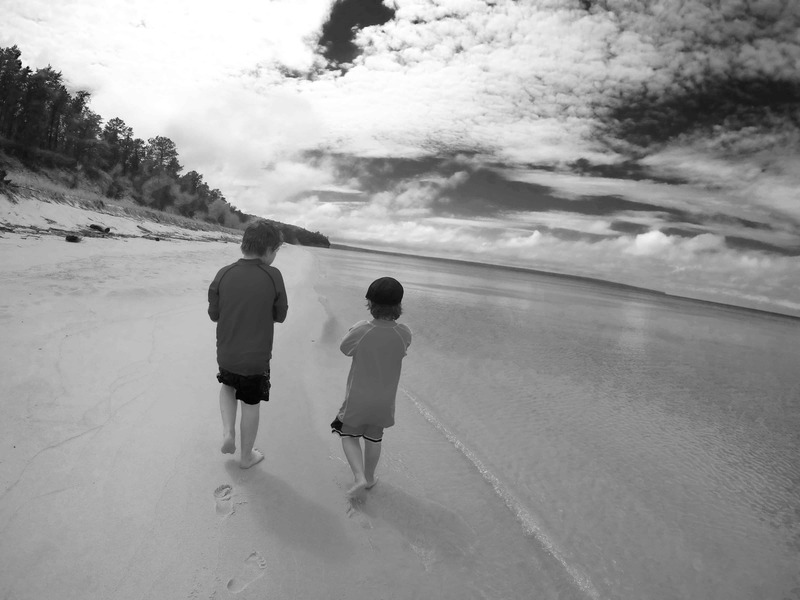 I grew up in Florida and I miss the powder sand there!! Midwest lake sand is so different! This sounds so exciting. Just bought a condo in St Joseph…we plan to travel the whole state and I have to Start here. 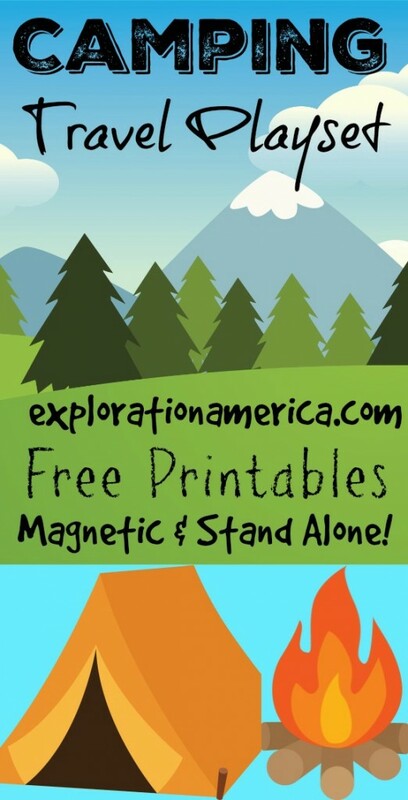 Thank you for sharing your family adventure!